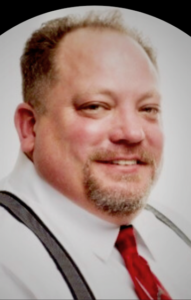 Charles assumed the role of Executive Director at Hinchee Homes Foundation in August 2018. He brings well over two decades of experience working with and enhancing the lives of people with developmental disabilities. Charles earned a Bachelor’s degree in Organization Leadership from the University of LaVerne and has attended numerous trainings, seminars and workshops relating to the field of disabilities. Born and raised in Venice, California, Charles currently resides in Thousand Oaks with his wife Laura and their five terrific children: Bella, Carter, Jessica, Angelica and Joe who range in age from thirteen to twenty eight years old. He very much looks forward to taking our organization to the next level of excellence. Charles has shared that he is honored and humbled to work with Hinchee Home’s residents and their families, staff and consultants, the Board of Directors and the community. He very much looks forward to opening Hinchee’s third group home, the Christine House, as well as taking our organization to the next level of excellence. 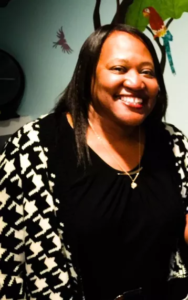 Rhonda holds a MA degree in Counseling and Depth Psychology and is actively working towards her PhD in Philosophy with emphasis on Forensic PSY. Rhonda’s objective is to utilize her professional experience and apply it to her. Administrator role at Hinchee Homes to improve all aspects of disability care and assist the residents in reaching their goals and lead full lives.